Two Cameroonian asylum seekers, the playwright Lydia Besong and her husband Bernard Batey, have been told by the UK Border Agency (UKBA) that they will be deported from the UK on Saturday September 10. Batey is currently in immigration detention, and campaigners are calling for his immediate release and a cancellation of the deportation order. Five UKBA officers went to their home in Bury on Monday morning, detaining Batey and taking the keys to the house. Supporters of the couple are demanding to know why Batey was detained when the UKBA was supposed to still be considering fresh evidence relating to their asylum claim put forward by the couple’s lawyer in July. There had, they say, been no indication to the couple or their legal representative that the new evidence had been rejected. The UKBA later faxed the legal representative with the reasons for rejection and removal instructions for Bernard, but campaigners say the paperwork states that the decision to reject further submissions of evidence was taken on August 17. Supporters want to know why the couple and their lawyer were not informed about this decision – to which they might have lodged an appeal – before UKBA officers swooped on their home on Monday morning. A spokesperson for the human rights organisation RAPAR of which Bernard is a member said: “This is yet another example of the UKBA failing to act within their own procedures.” Lawyers are now preparing to challenge the decision as campaigners send letters, emails and faxes to the Home Secretary and Immigration Minister urging them to intervene. Lydia and Bernard were politically active in Cameroon with the SCNC, a pressure group that campaigns peacefully for independence for southern Cameroon and is persecuted by President Paul Biya’s regime. They were both imprisoned and tortured in Cameroon and Lydia was raped by a prison guard. Since then, their story has been the subject of hostile press reports in Cameroon and, in December 2009, a High Court judge granted an injunction to prevent them being deported and asked the UKBA to review their case. Paul Rowen, former MP for Rochdale whose constituency they lived in for three years, said he had looked into the case in detail and was convinced there was a “real and substantial danger to Ms Besong and Mr Batey should they be returned to Cameroon.” While they have been living in Bury, their MP David Nuttall has raised their case with Immigration Minister Damian Green and their supporters have sent hundreds of postcards and letters to the Home Secretary. Lydia and Bernard’s many supporters include English PEN, the organisation which campaigns for writers who have been persecuted, the actor Juliet Stevenson, and the Bishop of Manchester who has written to the Home Secretary on the couple’s behalf. An open letter sent to The Guardian in July by leading writers and actors raised concerns about Lydia’s case. The couple are both members of the union Unite, Lydia is a long standing member of the management committee at WAST (Women Asylum Seekers Together) , and both she and Bernard are members of RAPAR. They are also members of the Bury AcaPeelers Choir. Their campaign is backed by Community Arts North West, the GAP Unit and Commonword, the Manchester writers’ organisation. Lydia has written three plays, one of which remains unpublished and is critical of President Paul Biya, who has ruled in Cameroon for 28 years. 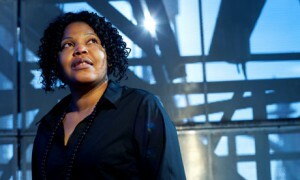 Her play “How I Became an Asylum Seeker” has been performed in Manchester, Salford, Liverpool and London. In London, she shared a platform with actor Juliet Stevenson in a discussion around issues raised by the play. – If living in Bury North, contact the MP David Nuttall. Just in case people think that Cameroon is a nice sunny place because you don’t hear about their uprisings see what Amnesty, as reported by the UNHCR say! Visit http://www.unhcr.org/refworld/country,,,,CMR,,4dce15783c,0.html. So the UKBA staff have got it wrong yet again have they? I thought public servants were saintly, selfless, highly professional people, working tirelessly and efficiently unsullied by the profit motive. Is there any particular reason to suppose that UKBA staff are an exception to this rule? Yes Simon, in answer to your question there is. Go and visit Dallas Court or look at the expression and listen to the UKBA staff at Dover. Their asylum claim has failed so they should be deported as they are not legally entitled to remain in the UK. Britain is well and truly full and bankrupt as well. We cannot afford to pay legal fees for endless appeals for ever growing numbers of cases.